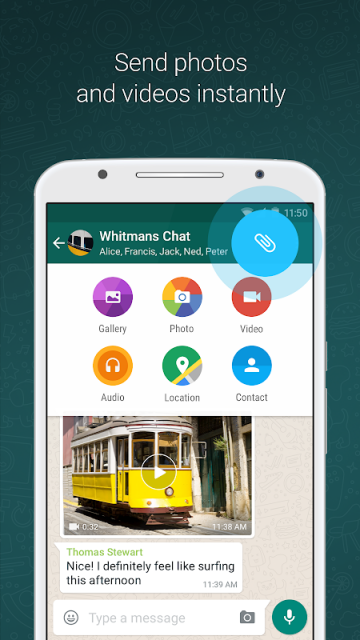 WhatsApp Messenger is a free messaging app for Android devices over the Internet connection. 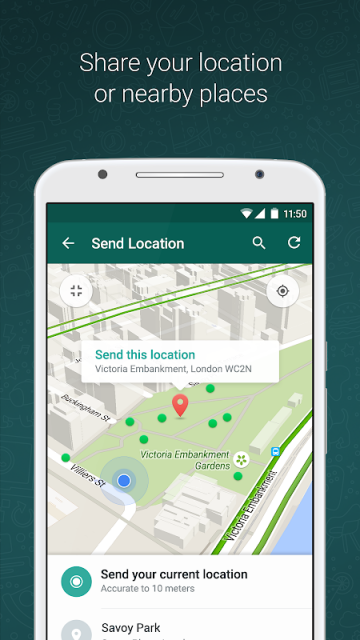 It allows users not only to send messages but also to send files and make calls. WhatsApp Messenger is one of the most used messaging apps by both Android and iOS users because of its incredible features. 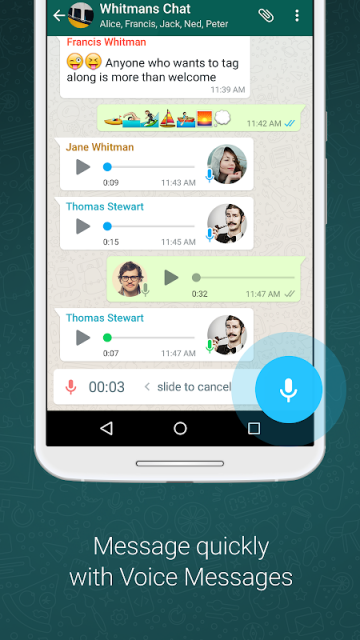 You will be able to make video and voice calls with your family and friends. In addition, you will be able to send all type of files, like documents, photos, videos, contacts, or audio files. 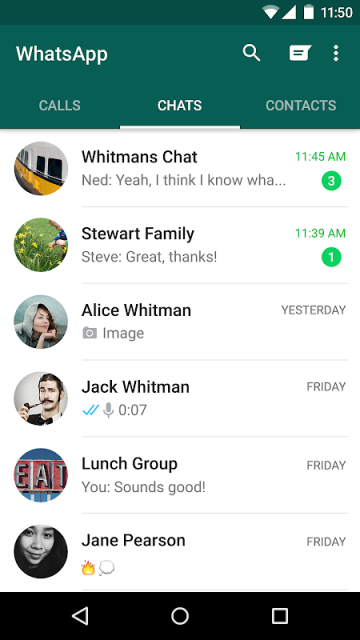 It also includes the basic features of a messaging app like mark as unread, silence a conversation or create a group chat. Moreover, WhatsApp Messenger now includes the Status functionality that allows your to share a picture, video or gif with all your contacts. This messaging application is one of the favorite by Android users because it is very easy to use, well-known and incredibly reliable. 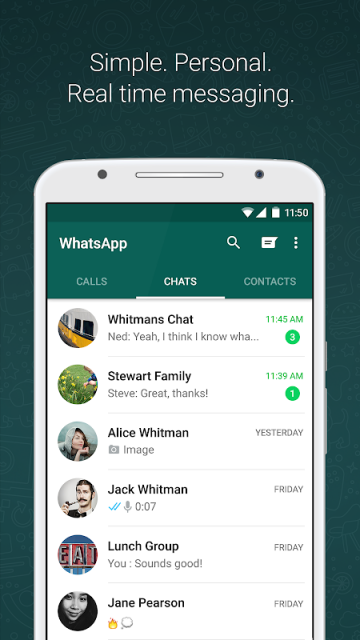 It also has a web version that allows users to synchronize their WhatsApp account with their PC. 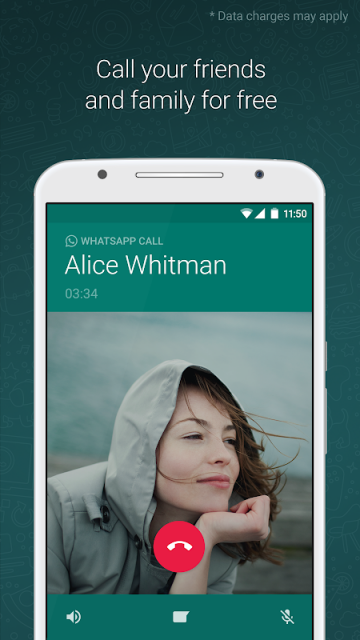 WhatsApp Messenger will ask you to confirm your telephone number by sending you a SMS when creating your account. Then, you will see all your phone contacts available in the app so can you chat with them straight away! Allows an application to monitor incoming SMS messages, to record or perform processing on them. Allows an application to request authtokens from the AccountManager.